An ESPN NBA reporter just learned the hard way that you better have your denim game in check before you try to flex on sneaker Twitter. Amin Elhassan decided to show which side he&apos;s on in the &apos;95-96 Chicago Bulls vs. &apos;15-&apos;16 Golden State Warriors debate by throwing up a pic of his "72-10" Jordan XIs and the Bulls&apos; banner. On paper, it was a pretty clever way for Elhassan to make his point, but there was just one problem: his jeans looked like they were about to swallow his sneakers. LMAO. 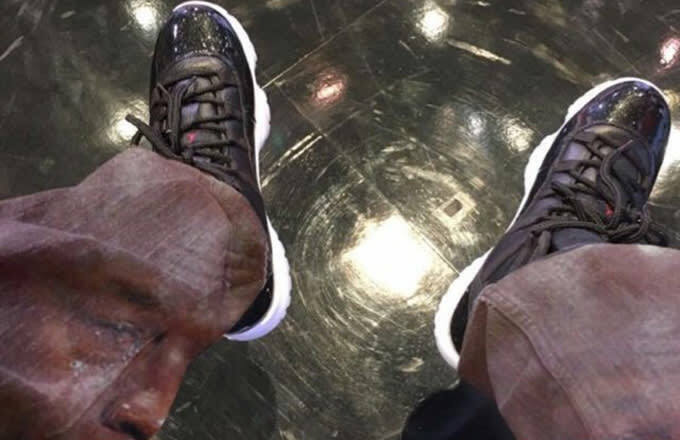 Not only did Elhassan hear it from Charlamagne, but dozens of other sneakerheads who trolled him over his denim selection—someone even turned his pants into a crying MJ meme. To his credit, Elhassan&apos;s been a pretty good sport about the whole thing.